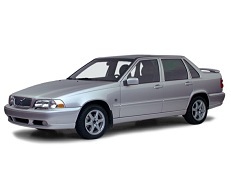 Correct Wheel Sizes, PCD, Offset, Rims and Tire specs for Volvo S70 series. Hi,Patty,No,They share different bolt pattern. I have a 1998 V70 XC. Currently on 15" from a regular S70. What the max tire size i can fit on 17" wheels? Can c70 rims 215×55 R17fix into 1997 s70 195×60R15?? 17 inch factory volvo C70 rims with 205/45/17 tires will fit any S70, buy the rims switch tires. Can I fit 17 inch rims on a 1998 Volvo S70 GLT? I have a1999 S70 4dr high pressure turbo fwd I also have 2006 V70 awd can I use my rims from the V70 on the older S70 are the bolt patterns the same??? Hi,Steve Manchee,yes,they have same bolt pattern.